After a fantastic job for 18+ years as editor of the monthly CPR newsletter “Friends of FM” , Chris Ball has handed over the reins from April to a new editorial team comprising Jim Jacob, Chris Sayer and Howard Kaplan. 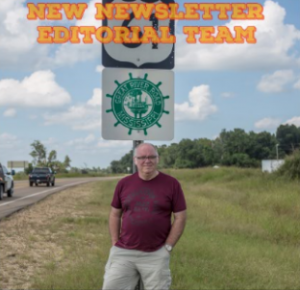 Over the next three months, a short profile of each of the new editorial team will be published in the monthly newsletter. The first profile is that of Jim Jacob. Jim is a born and bred Launcestonian. He was schooled at St Thomas More’s and St Patricks. 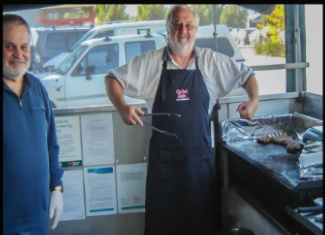 Apart from a brief period of 2 years in Hobart, Jim has spent his entire life in Launceston. For most of his working life, Jim was involved in various business enterprises including managerial roles. Jim is married to Sheila and has two daughters, a son, one dog and cat … and is a proud grandfather to Winifred. He has been involved with CPR for about 5 years and for much of that time has been on the management committee. He is currently the Vice-President, but has recently taken on the role of Acting President following the resignation of Craig Ellis. He presents programs for Saturday Afternoon Mix, Offbeat and The ROCK Show. He enjoys all sorts of music but his particular favourite genres comprise mainly Old Blues and Americana, and tries to keep his music as current as possible. His primary passion (after CPR of course) is photography – mainly stage photography, ‘things’ and people. Other interests include a good wine and cooking. He finds the most rewarding aspect of CPR for him is being part of a team. Our new program began a couple of months ago and has introduced you to some fascinating guests. Everyone who sits in the HOT SEAT has a story to tell and there are so many more guests that we’d like you to meet. Like Dr Jim Markos, pictured here, who spoke to Chris Sayer about his studies into lung and sleep research and his passion for living in Tasmania. He is also a regular listener to City Park Radio and wanted to thank all the volunteers who contribute to the station. Are you one of our happy volunteers ? If so, You are invited to a sausage sizzle on the 26th of May at the station in recognition of your service. Catch up with some friends, meet some new ones and have a sausage and onion on us. BBQ starts at 12 noon thru until 2pm. This photo of Noel Broomhall was taken over 30 years ago in our original studio at Alanvale TAFE. 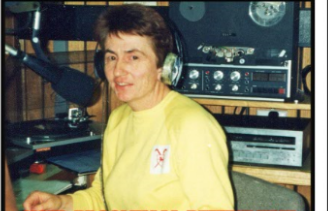 Indeed, Noel has been with the station from test transmission days, and has presented many programs, from Classical to Jazz. Perhaps most of us know Noel from her “One Planet, One People” program that she helped start 30 years ago with the support of her husband Edward. Recently Noel and Edward decided the time arrived for her to retire from presenting on City Park Radio and so her last program went to air on March 30. A very huge thank you to both Noel and Edward for the time, preparation and effort that you have given your local community station. The Country Music Unit has been part of City Park radio since the early days of the station when it was broadcasting from Alanvale College at Newnham. 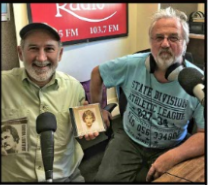 The Saturday morning program “Country Muster” from 9 till 12 is one of the stations longest continual programs, and is recognised by many local and mainland artists as a high standard program and they always try and fit in a visit for an interview if their schedule allows. The Unit presenters try to cater for all, with the old and current trends of the current music scene. Australian Country, heard Wednesday nights at 8 is two hows devoted to Australian country. 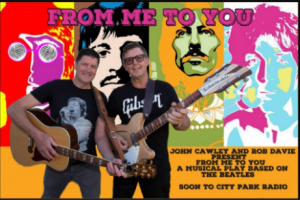 It’s a chance to hear more local and Australian artists. Over the years there have been a number of people involved with the Country Music Unit, either as presenters , answering the phone and assisting where possible, in those early days when “The Unit” organised artists from the mainland as fund raiser concerts for the station, and those that assisted the all night broadcasts on the occasional Saturday/Sunday morning raising money to get what we required by the station at that time. 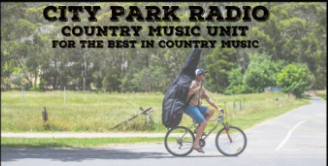 For the best in Country Music tune in Wednesday nights at 8 and Saturday morning at 9, on Launceston’s City Park Radio. 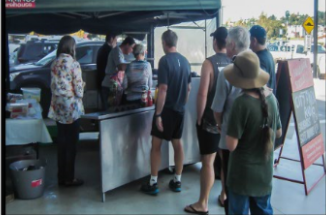 Thank you to all Volunteers who helped on a very busy and successful Sausage Sizzle Day at Bunnings North on Saturday 7th April. Special thanks to our chefs and others for helping with all the serving, cleaning and packing away. Also a big thanks to our very loyal listeners and members who are always willing to help.